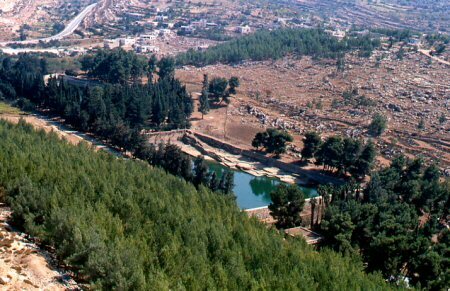 Israeli authorities, on Wednesday, decided to seize about 100 dunams (24.7 acres) of agricultural land belonging to the Palestinian village of al-Khader, south of Bethlehem, said a local activist. Hassan Breijah, Coordinator of Anti-Wall and Settlement Committee, said that the so-called Israeli Civil Administration has approved the seizure of 100 dunams of agricultural land in Ein al-Qassis from western al-Khader and their reallocation for settlement construction. He explained, according to WAFA, that the purpose is to build new settler units to expand the illegal Israeli settlement of Neve Daniel, which is built on the villagers’ lands. Israel has also approved the construction of 650 new settler units for the illegal settlement of Beit El, close to the central West Bank city of Ramallah. Between 500,000 and 600,000 Israelis live in Jewish-only settlements across occupied East Jerusalem and the West Bank, in violation of international law.